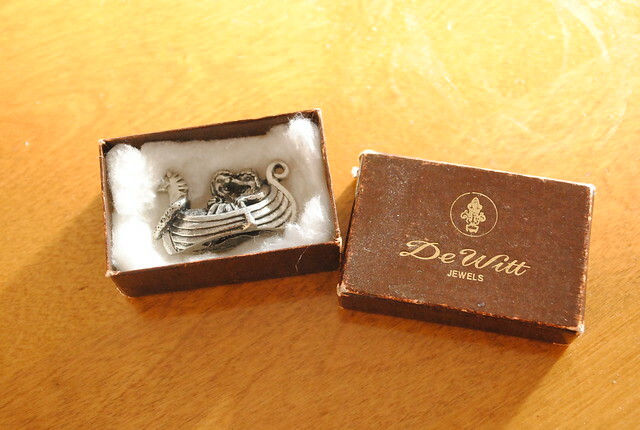 This pewter miniature came in that small jewelry box, though I don't know if that's where it's originally from. 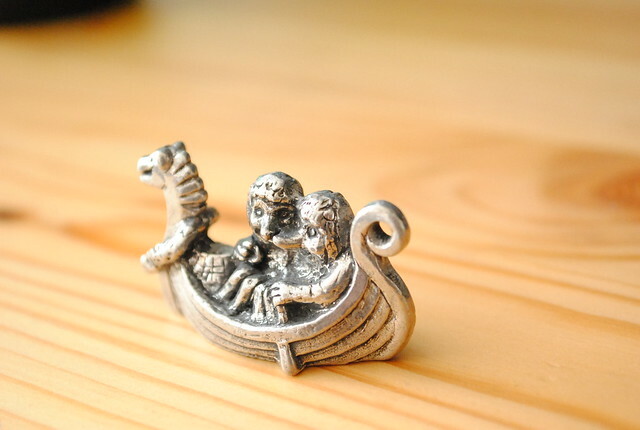 The two tiny animals, clearly a boy and a girl with long noses and tails, and the viking boat are incredibly detailed. There is no signature or any markings anywhere on it. 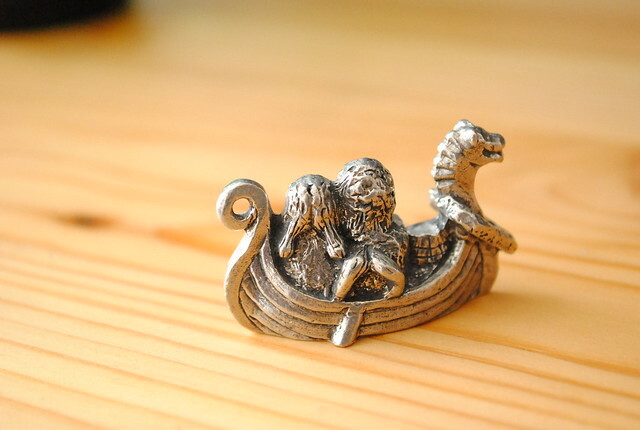 I'm really curious to know what this trinket signifies. It was apparently of some value, likely sentimental, to have been kept safe in this box. My dad didn't recognize it - I'll have to ask my aunts the next time I see them. The scene it portrays does fire a neuron or two though... it reminds me of something - a children's book or fairy tale perhaps? - but I just can't place it. The memory is too faint, too remote. Can you place it? 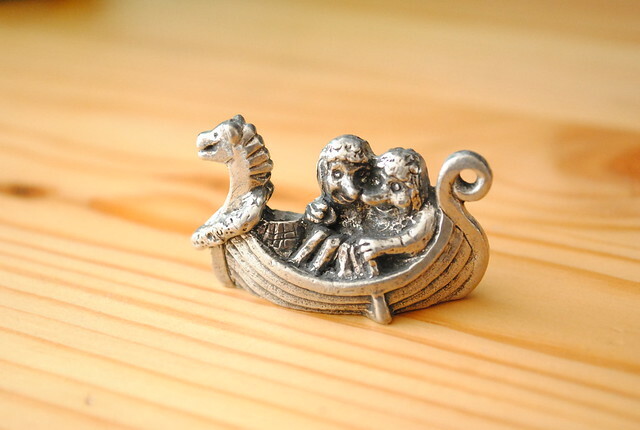 Where are these two little animals sailing off to (or away from)?